Print from your Smartphone or tablet. Keep large scan and copy jobs moving. Print right at the device, using the easy-access USB. Do more with big media sizes, broad capabilities and brilliant color on this affordable network-ready multifunction laser printer. Upsize color printing capabilities with media sizes as large as ledger/A3 for impressive marketing materials and more. Improve workflow using touchscreen controls to preview, edit and digitally send documents at the device. Print from your Smartphone or tablet with HP ePrint. Keep large scan and copy jobs moving with a high-capacity automatic document feeder. Save and print files directly at the MFP via an easy-access USB port. 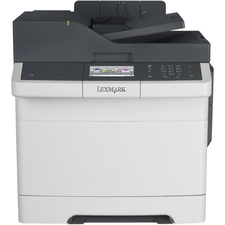 Includes faxing function and 1350 sheet capacity. Machine Functions: Copy; Fax; Print; Scan; Printer Type: Laser; Maximum Print Speed (Black): 30 ppm; Maximum Print Speed (Color): 30 ppm.